With SINAMICS V20 variable frequency drives and the matching web server module SINAMICS V20 Smart Access, Siemens has created a reliable drive solution for simple process motion sequences. Please see here to find out how you can save both time and money with these two products. In the following videos, you can view the easy handling and features of the SINAMICS V20 variable frequency drives as well as the possible uses in combination with the web server module. With the compact Basic Performance converters SINAMICS V20, Siemens has created a solution, which is not only economical but also simple in handling. Thanks to a modern cooling system and coated circuit boards, the Variable frequency drives are robust and suitable for many different industrial applications, e.g. fans, pumps and conveyor systems. The ECO mode ensures energy-efficient operation by adapting the motor current to the load state. Thanks to various construction and connection options, a convenient commissioning is ensured. Both versions with push-through and wall mounting can be connected side-by-side. The variable frequency drives are electromagnetically compatible (EMC) according to category C1/C2. At Automation24, you can choose between seven sizes and power ranges from 0.12 to 15 kW. 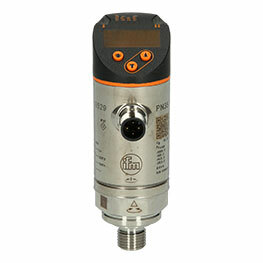 Suitable for small motor outputs, theay are available in the most compact and smallest sizes on the market: FSAA and FSBA. Optionally you can also purchase them with a radio interference filter. These versions are suitable for commercial use, such as commercial washing machines, cooling units, ventilation systems and fitness equipment. The optional web server module SINAMICS V20 Smart Access makes an even more intuitive handling of the SINAMICS V20 variable frequency drives possible. Thanks to the built-in Access Point, a wireless operation via smartphone, laptop and tablet is possible. Whether for parameter configuration, for restoring and changing settings, for monitoring, for quick remote diagnostics or for activation of the JOG mode, you have control over your SINAMICS V20 variable frequency drives any time and everywhere. The module is equipped with a commissioning wizard, which makes it even easier to set up the variable frequency drives. 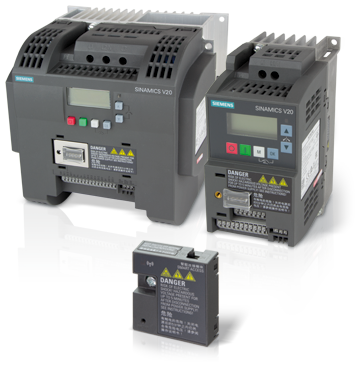 Save time and money with the SINAMICS V20 variable frequency drives and web server module today. Any open questions? Contact us via chat, phone or email. We are happy to help with technical support. You can find our contact details here.